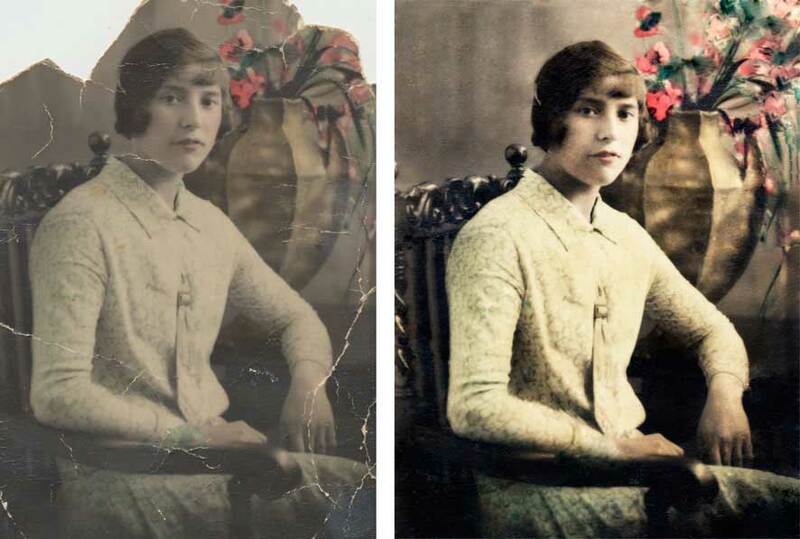 People often think that when they have a photograph restored, the finished restored print will only be the same size as the original. 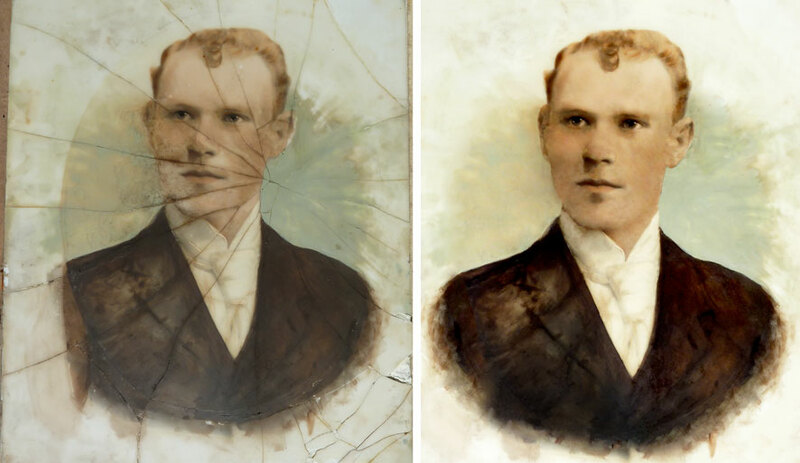 It’s true that it can be, but what is often overlooked is that after a photograph has been digitally restored, the finished image can be printed virtually any size. 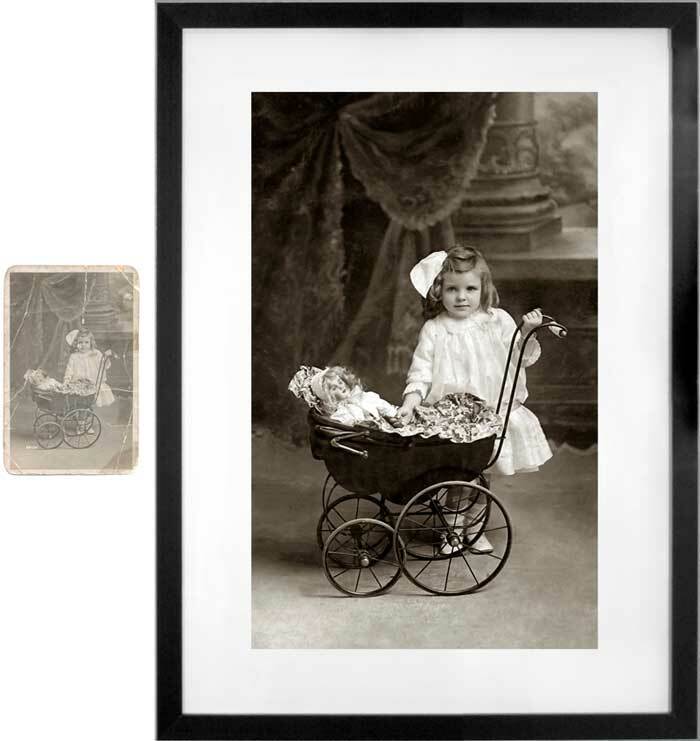 It can be printed smaller for a locket or a special frame and, more importantly, it can be enlarged to a size at which you can see the detail of the original photo. Above is the print that I was given to work from, originally a good quality studio portrait and the only remaining print was this deteriorated one, which was about 4 inches x 3inches. This is a board-backed photograph that came to me in pieces and had been that way for a long long time. The decision was made to get it fixed and this is the finished result. 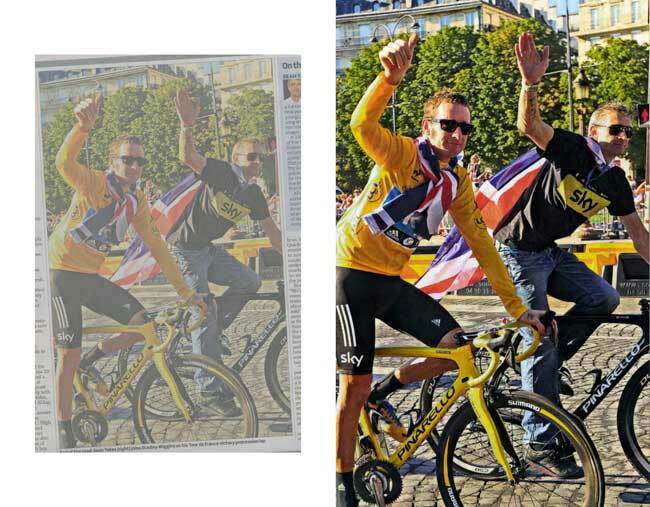 This is a newspaper article where my customer’s son was cycling in with Bradley Wiggins. Newspaper articles are usually relatively poor print quality with the ‘dots’ being very visible when enlarged. 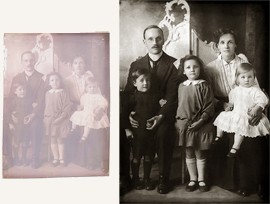 This restored photograph was printed 15″ x 10″ and looked very impressive. This was an interesting challenge. 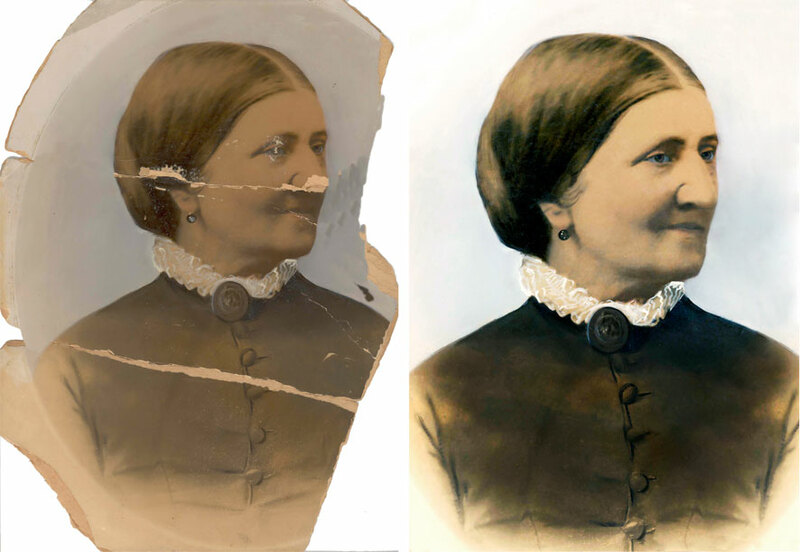 The original photograph had been badly damaged by water. Not only that but the original frame glass was also smashed and the photograph was stuck to the broken glass! As the photograph was very sentimental the customer had framed the stained original complete with the broken glass in a new glazed frame! 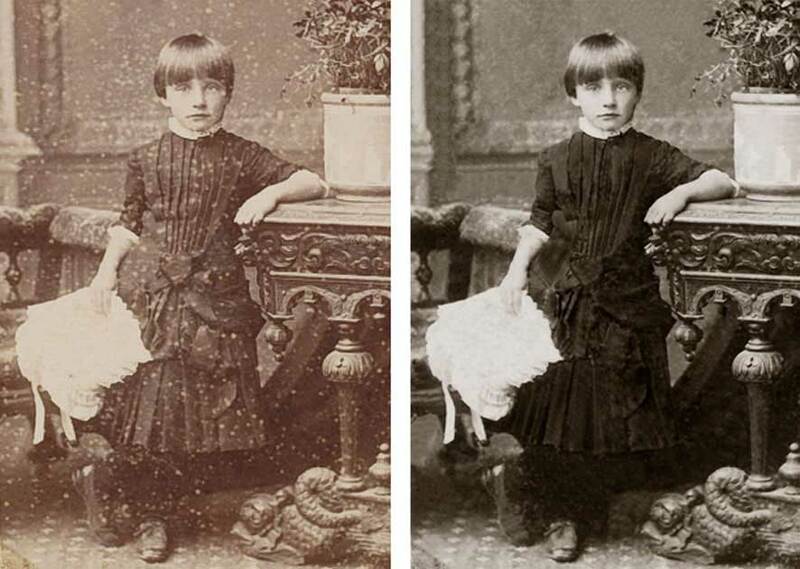 It was not possible to scan so it was photographed and restored from that image. Mounted in a new frame with mount finished the transformation. The two parts of the original don’t actually align as you’d expect. Still managed to extract a good amount of detail though. “… the lady in the centre is my grandmother Ethel Turner (1884-1979)who had run away from home in her early teens She had married a local man Fred Turner at Lingfield in 1906. 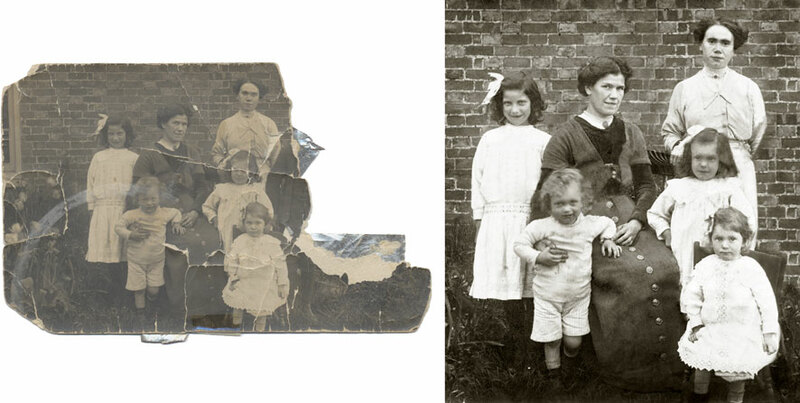 These are her children in the picture I would guess that the photograph was taken around 1917 in Lingfield. 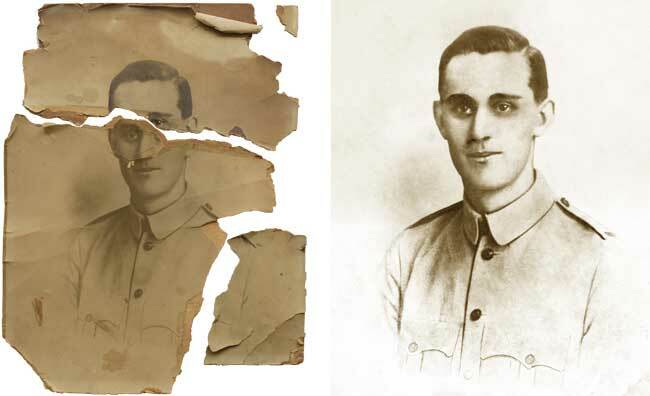 My grandmother’s husband Fred has been killed in Belgium in the First World War in 1915.” J.D. The coloured portrait on glass is of Harris Samson. He was Jewish and immigrated to the UK from Romania in the 1880s. In the 1901 Census he was a tailor living in Holborn. This is an 33″ panoramic army photograph of about 250 soldiers from 1942 that was so dry which, when it had been unrolled recently, was badly cracked. 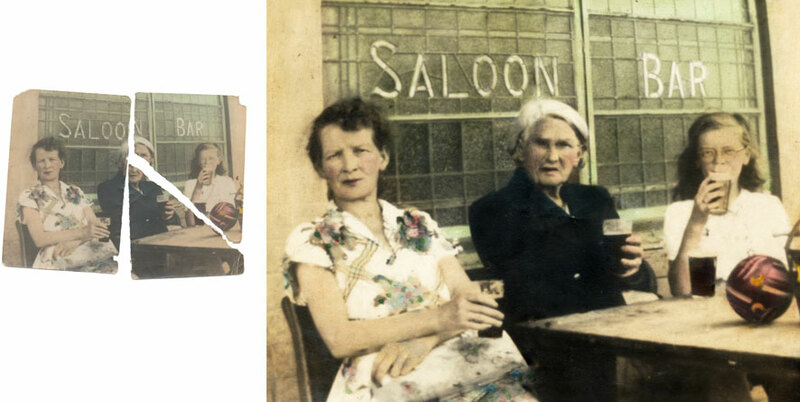 After careful treatment to flatten and with multiple scans stitched together I was able to produce near perfect 40″ enlargements…..
A historical photograph spotted by my customer in a pub in Yorkshire which was the family home for many years. He took a photograph of the picture with his iPhone which had a big flash hotspot and was skewiff. Beside it is the restored version I did for him. I was given this picture of Portsmouth taken in the early 1900’s and the detail within it is quite incredible. I have never seen such detail on a photograph that old. 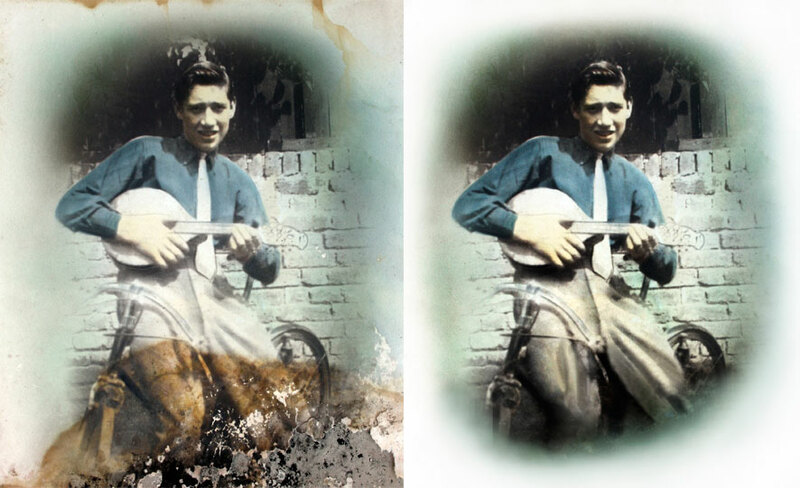 There are many scenes within the picture and the restored image is capable of being enlarged to virtually any size. A fascinating photo. 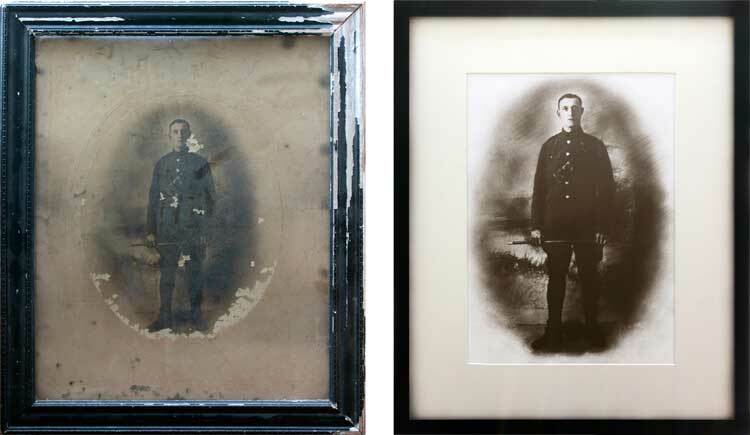 This was a very badly deteriorated frame and portrait that had a lot of mould and damp that had caused considerable damage to the print. The finished result on archive paper will last well over 100 years with no signs of deterioration – presuming it’s not left in an unheated, damp outside garage! 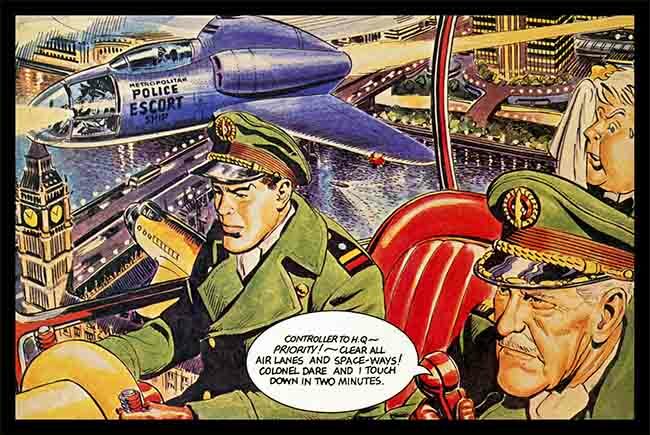 This was a unique piece of artwork, drawn in the 70’s and looking a bit sorry for itself………not any more! 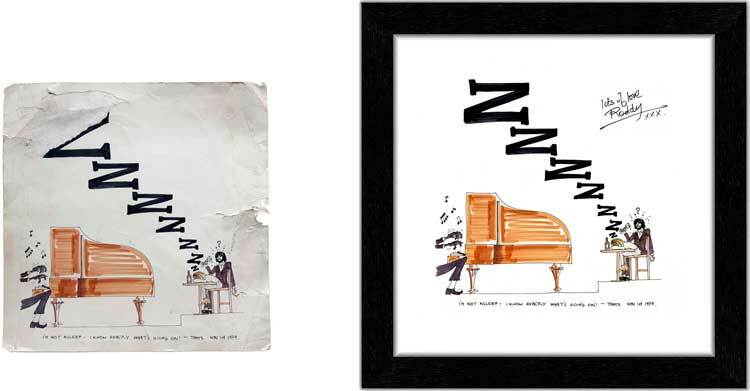 This small photograph came in 3 parts but left as one! 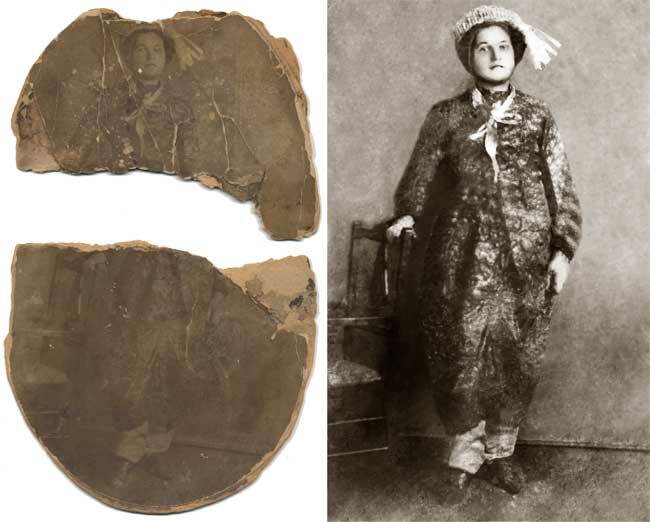 This picture was sent through as a scan after the customer finding my website through Your Family Tree magazine. 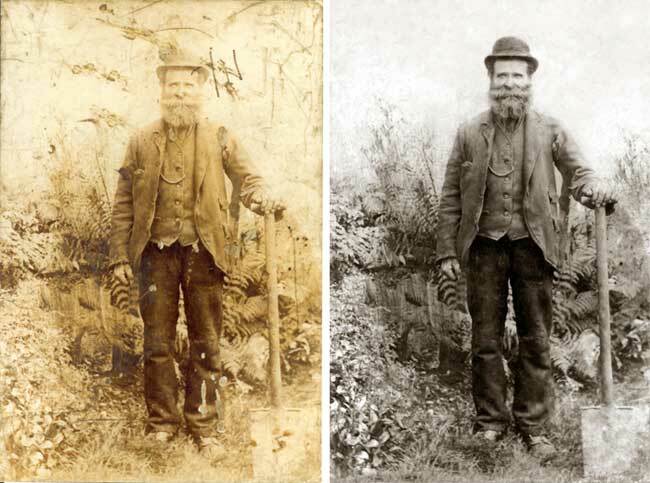 I have subsequently restored many more photographs for him.